A summer family tradition…dinner at the park with everyone’s favorite cereal! A simple activity that creates so many memories. When my second set of twins was born, my girls, the first set, had just turned three years old, and I had five little kids at home. My husband was very busy at work at the time, and most nights I was on my own for dinner with the kids. It got a little…hectic sometimes, and I just didn’t always have the time or energy to make dinner. 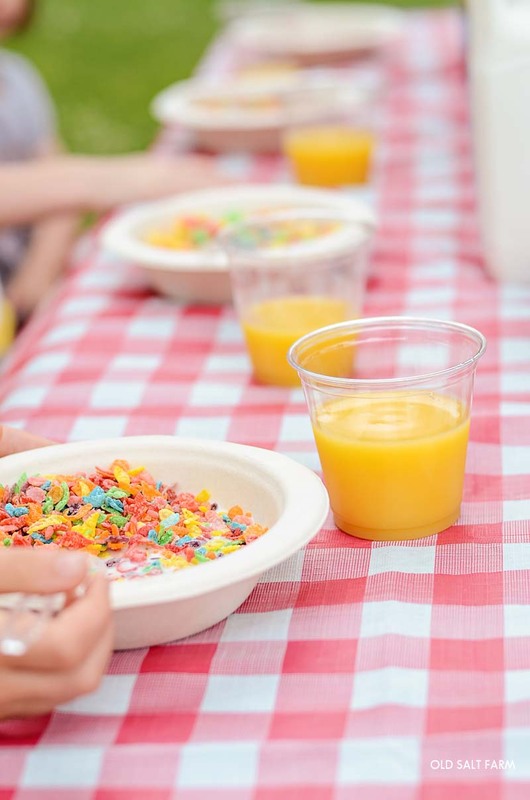 We all love cereal at our house, and my kids especially love sugar cereal—which I never buy except on very special occasions. On several of these nights when my husband was gone, it would be a “cereal night”, and that would be dinner. 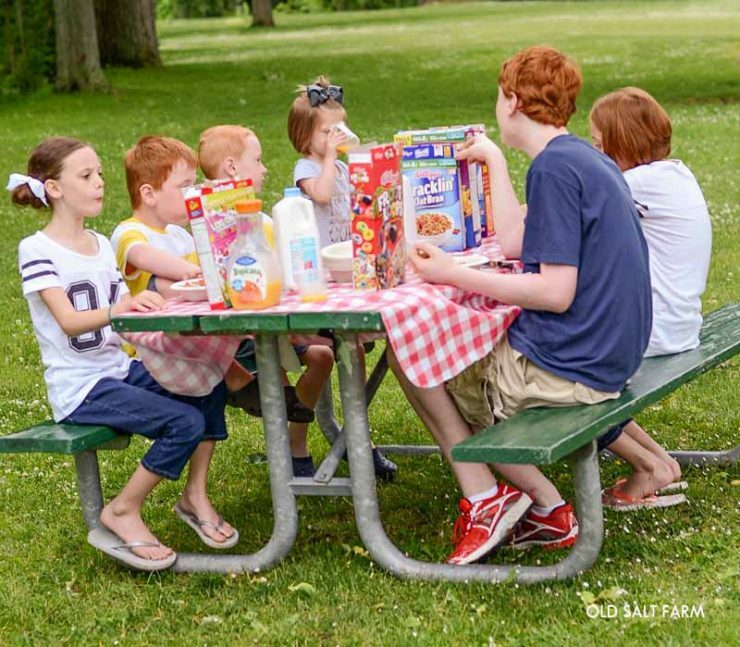 One particular night when my twin boys were around 18 months old, the kids were especially antsy and needed to get out of the house, but we still needed dinner, so Cereal Night at the Park was born! Cereal Night at the Park! I packed them all up in the truck, and we headed to the grocery store. They got to pick out ANY kind of cereal they wanted, which basically felt like Christmas to them. I think we spent a good twenty minutes in the cereal aisle, because they just couldn’t decide which one they wanted most. Finally, we had cereal, milk, plastic spoons, and paper bowls in our cart, and we were ready to check out. I took them to one of our favorite parks, set out the milk and cereal, and they went to town. After they ate, they played until dark, and it ended up being one of our favorite nights of the summer. 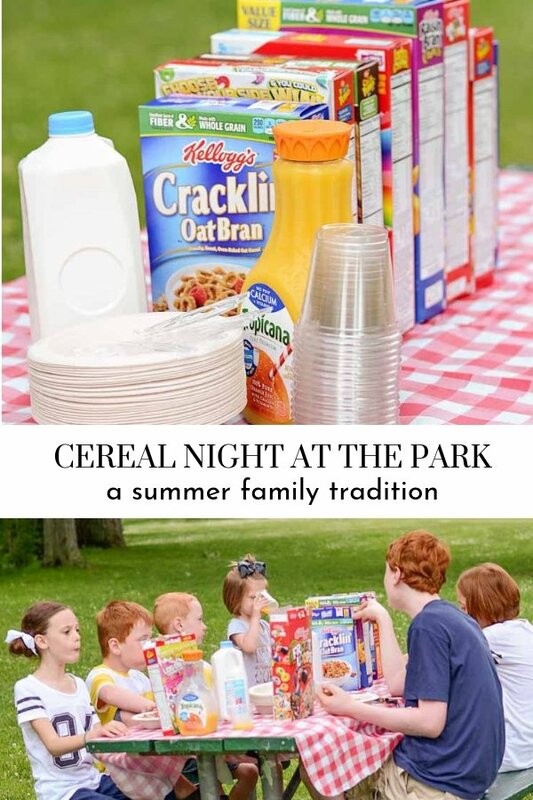 A tradition was also born, and at least once during the summer months, we have Cereal Night at the Park! We love this night for many reasons, and it’s easy to either plan, or do spontaneously. It’s a great night to try out a new park, and see if you can find a new favorite. 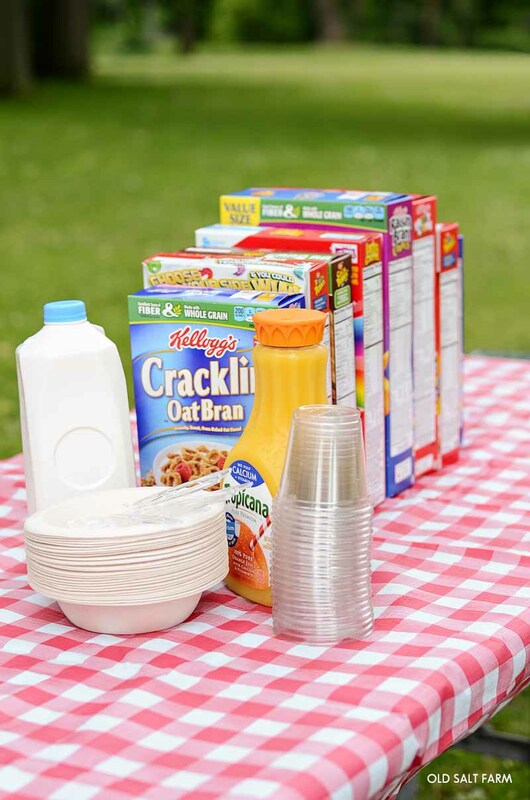 Cereal Night at the Park is most definitely on our bucket list every summer, but you can do it any time of year! 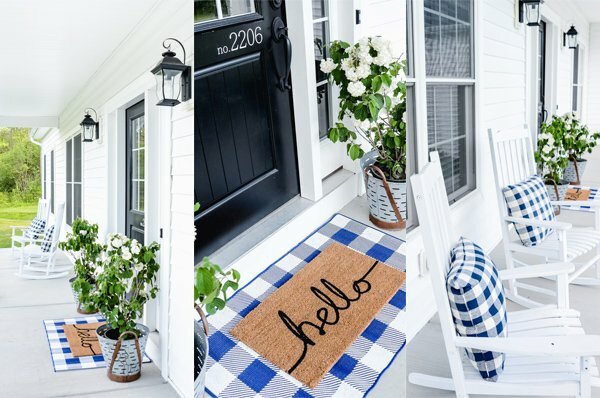 We also love doing it in the spring and the fall…or anytime the weather is nice. You can find even more fun summer traditions, and holiday traditions for families in my book, Simply Tradition! Get the latest farmhouse style, DIY & home projects, holiday ideas, and more…right in your box! Don’t miss a thing!